Rent My Bike provides Premium Bike Rental in Panjim with hotel deliveries all over Panjim. Panaji which is the capital of Goa, also known as Panjim in English language where visitors from all over the globe come to visit and stay where in we provide Bike Rent in Goa Panjim. Rent My Bike’s delivery service start from morning 9 AM till evening 9 PM. 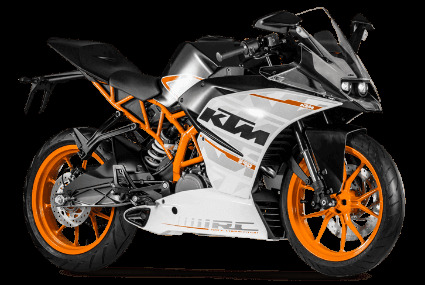 Rent My Bike’s service representatives are located near stations like Karmali Railway Station ( KRMI ) which is 10 Kilo meters away from Panaji , it is the nearest railway station from Panaji & the nearest air station is at Dabolim Airport - Goa. There are Taxi’s and public transports available in near by Panjim main stations. But because of high volume of tourists coming in this part of Goa , cabs are unavailable most of the time and public transport like rickshaws and buses gets shut down after 8 PM and its pretty crowded with less frequent arrivals of public transportation services. If you are only travelling with a backpack and want to roam around locally then take Rent a Bike in Goa service with our Best Bike Rentals Goa , which is the best way to explore the capital of Goa. Panaji which has a population over 50,000 people and is also the headquarters of North Goa district. Locals here are very generous and peaceful. The only way to make sure you make the most out of your trip is to roam around on a bike which is the reason why we provide bikes where ever you are at , which can be anywhere. There are avenues of different trees all over Panjim roads on both the sides which is very beautiful. Panaji has the oldest civic institution in Asia. Churches and different forts are the main attractions here. If you want to know more about Panjim please click on wiki travel’s page link. Get our 24/7 customer care service for better assessment on road while travelling. Looking For Bike Rental in Panaji ? We recommend that you try out our Bike Rental in Goa Panjim , at this tourist paradise to get your travelling budget in place. Enjoy fresh breezy beach air in open sun ride on bikes. One main reason why to Rent a Two Wheeler in Panajim is because its surrounded on the banks of Mandovi River. The Portuguese have influenced and shaped this city on a different natural scenic level. They derived this word “ PANAJI “ from Sanskrit language which stands for small creek. Renting a bike here is the only way to make the most out of Panaji by actually being at that moment and feeling the air instead of travelling in AC in four closed doors.